Our Eggshell Chair was initially designed in 1957 by Allan Gould. 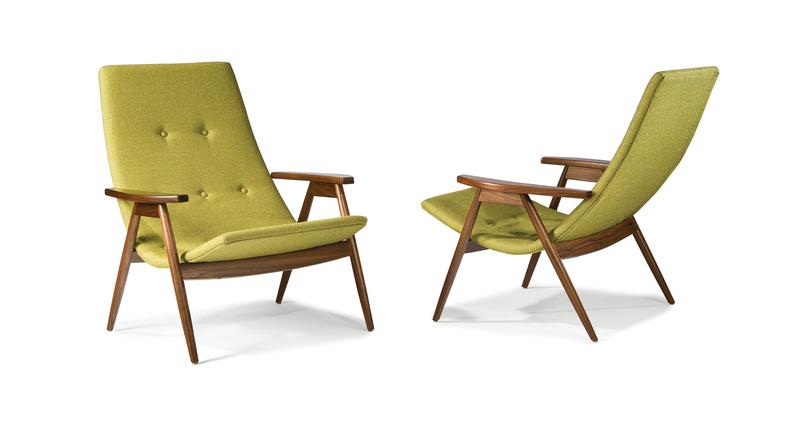 Allan's mid-century designs are highly sought after by collectors and his furniture has been featured at the Museum of Modern Art (MoMa). The Eggshell Chair, designed exclusively for Thayer Coggin, exhibits Gould's sense or timeless beauty and visionary form. The Eggshell Chair sports a steam-bent plywood upholstery frame as well as a solid walnut exterior frame. Choose any of our in-house curated fabrics or leather for upholstery or provide COM.